Spaghetti squash has become one of my new favorite vegetables. Primarily because the flavor is so mild you can give it a million different flavors. 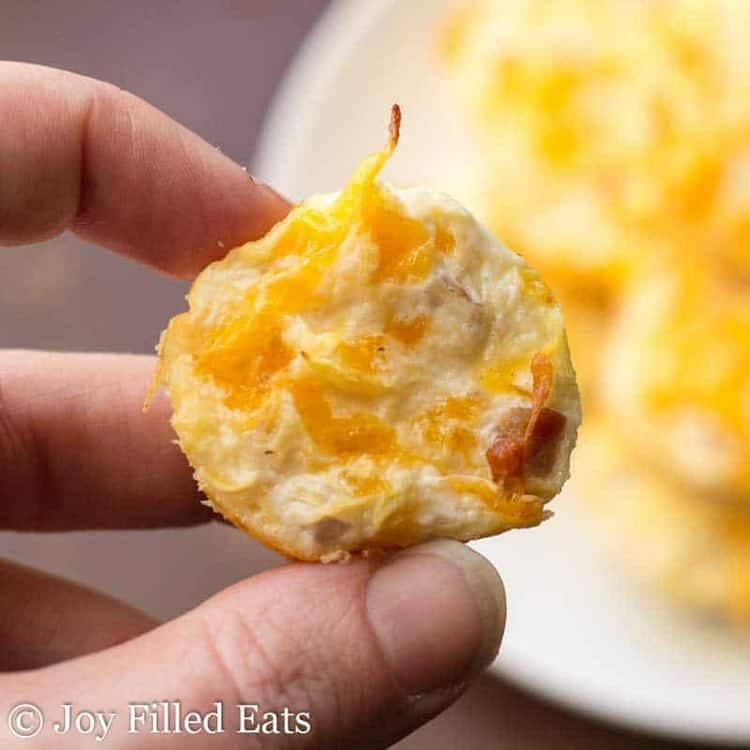 I’ve been experimenting with it in my kitchen the last month and one of the winning dishes so far are these Spaghetti Squash Bites. These are a great way to get kids to try a new vegetable. 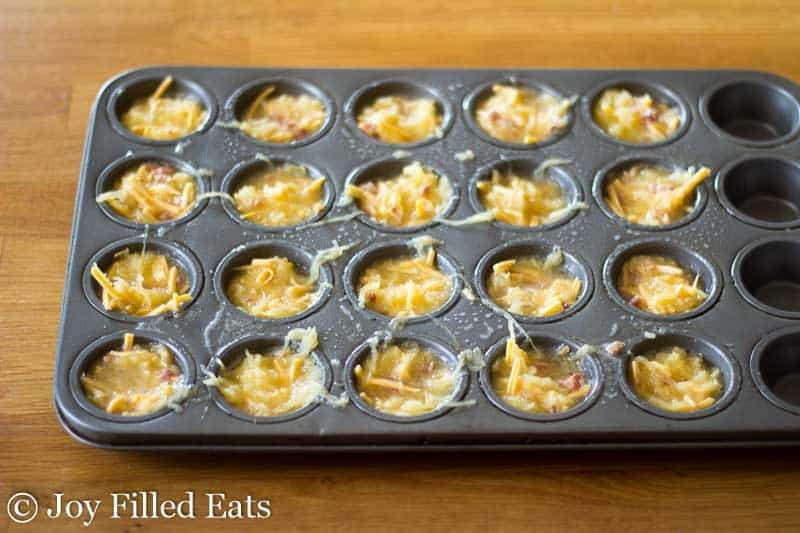 By mixing a little cheese and bacon into the squash and cooking it in muffin tins they become cute little bites you can pick up and eat. I kept the quantities of cheese and bacon crumbles on the low side so this would qualify as a Trim Healthy Mama Fuel Pull side dish. That means that it is both low fat and low carb. 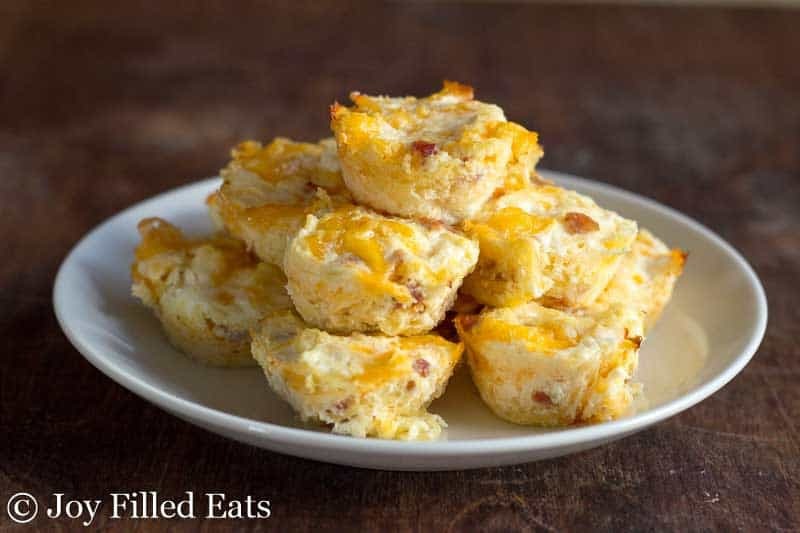 If you would like to eat these with a Satisfying (S) meal or eat a low carb diet feel free to add some more bacon and cheese. Preheat oven to 350. Combine all the ingredients. Divide between 20-24 holes of a mini muffin tin sprayed with cooking spray. Bake for 15-20 minutes until firm and golden. Spaghetti squash has become one of my new favorite vegetables. Primarily because the flavor is so mild you can give it a million different flavors. I've been experimenting with it in my kitchen the last month and one of the winning dishes so far are these Spaghetti Squash Bites. 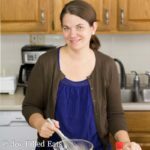 Only 2 egg whites??? That doesn’t seem like quite enough. I’m going to try these today. 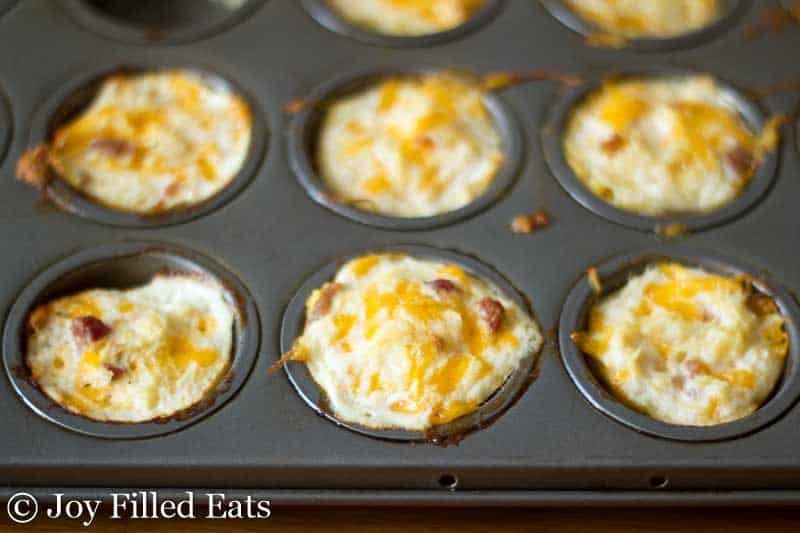 Such a good idea for using up some spaghetti squash! It's enough to hold these together. If you don't think so feel free to add another one or two. One more thing- could one substitute summer squash? Yes, shredded summer squash will work. You may need to salt it and press out some of the moisture. It is wetter than spaghetti squash. Should these be eaten straight from the oven? You can, but they reheat well too. What do these taste like? Have you tried without the bacon? Know someone who LOVES veggies and cheese, but doesn't eat anything pork related. That being said, do you think chorizo would overpower? Chorizo might be too strong. You can leave out the bacon or use turkey bacon. You can also play around with adding different types of cheese and herbs. Could this be used in regular cupcake pan? Yup! You will just need to bake them a bit longer. These sound great. Do you think they would freeze well? I'm not sure. Squash doesn't freeze well but maybe with the addition of the egg it would work.